Joe’s Glass Co delivers complete mobile glass repair and replacement services in Redmond, Washington. We know the area well and we know how busy life can be. With over 20 years of experience serving the eastside, there is no need to waste hours taking your car to a glass repair shop; we will send one of our highly trained technicians to the location of your choice in Redmond and repair or replace your glass on-site. We are happy to meet you at your workplace, your home, at the park & ride, or wherever your car is available. Our mobile service vans are stocked daily and ready to go. We offer a full line of mobile services including rock chip repair, windshield replacement, side windows, mirrors, headlight restoration, wiper blade replacements, sunroofs, tinting, and more. Call us today for a quick, free quote. When you are ready to get the job done, we will schedule a time and place that is most convenient for you. Leave that big RV parked right where it is and we will come to you. You can count on our 20 years of experience and quality workmanship to provide you with the best mobile RV glass replacement service in the Northwest. Working with the industry’s largest supplier of RV glass in the entire USA, we can order your RV glass replacement and in most cases have it installed within 3 days. It is no wonder that we perform more RV glass replacements in Redmond than any other glass company does. We are happy to take care of the insurance details as well – so all you need to think about is packing for your next trip. If your recreational vehicle is out of commission with a cracked windshield, call us today. Our RV glass experts will help you get back on the road in no time. At Joe’s Glass Co, we work with all major insurance providers and networks. We maintain the highest industry standards in all of our materials and only install OEM or OEM equivalent glass in our customer’s vehicles. Our attention to detail ensures all extra features such as heated wiper park, electrochromic mirrors, heads up displays, or rain sensors perform well in the new installation. When you need insurance approved glass repair or replacement, tell your insurance company you want Joe’s Glass Co to do the job. 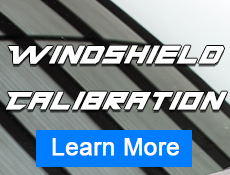 We guarantee that your new windshield installed by Joe’s Glass Co will not only look as good as new but also maintain the original safety and structural integrity of your vehicle. Your safety is our number one priority at Joe’s Glass Co. In fact, the windshield is one of the major components in a vehicle’s safety restraint system (SRS), as are the air bags and seat belts. One of the primary functions of the windshield is to act like a support beam in the overall construction of your vehicle. Incidentally, a cracked windshield can impair the structural integrity, putting you and your passengers at risk. When you choose Joe’s Glass Co, you can be sure that your new glass replacement will be as strong as the original with all safety points verified by our certified installers. In addition, our full service detail includes the safe removal of any broken or damaged glass. Our highly trained technicians are efficient, responsible, and trained to properly dispose or recycle all broken glass according to industry standards. Joe’s Glass Co aims to provide you with quality workmanship as well as a safe and satisfactory experience.